It's December 24, last year I did this on that day and today seems like as good a day to do it as well. The rules are simple: these are from the books I've read - sometimes re-read - during this year. While I kept it last year to current books - in honor of having a job again in a library filled with books - this year I feel I can go back to the books I've re-read as part of the review. Hope you don't mind. I've made a decision to try and get into new science fiction authors, as waiting on anything new by Douglas Adams, Ray Bradbury, Iain M. Banks or Arthur C. Clarke is going to be a bit of a problem. I saw this title as a Nebula award winner and so made the jump. Breq is the only survivor of a missing, possibly destroyed sentient spaceship of which she - and gender pronouns get to be an issue as the story progresses - was mentally part of, meaning half her memories and identities are a mess. She becomes embroiled in a bizarre galactic civil war within Breq's empire that leads to sequel hooks aplenty. Leckie's work is very similar to Banks' Culture series, with a well-designed 'verse that plays with the conventional tropes of space opera (which means it delves into a mess of human identity issues in-between all the laser fights). It is one of those books that requires re-reading to make certain you didn't miss a plot point. The creator of xkcd, a webcomic of absurdist thought, puns, and scientific accuracy, kept getting all of these weird science questions to answer and so started a secondary blog that would answer "What If We Did This?" Ranging from such crazy ideas as "what would happen if we drained out the oceans" or "what would happen if a pitcher threw a baseball near the speed of light", Munroe applies actual (and sometimes theoretical) physics and engineering to the question to bring up some of the more bizarre - and world-threatening - consequences of such events. For example, pitching a baseball at the speed of light would cause a nuclear reaction of such intensity that it would wipe out the baseball stadium and the city it was in... and when you throw in the rules of baseball, it means the batter was hit by the ball and advances to first base. If you want your mind blown, you gotta read this book. As I noted on my Notice a Trend blog: this book was the first one from college I kept, rather than trade back in after my classes were done. It's short but exposes so much of the sins of our current political culture. I still feel this is one of those books everyone needs to read once in their lives, if only to realize how corrupt our election/campaigning system has become. I wrote about the book due to McGinniss passing away this year, and I feel it deserves special mention here. Another anthology, this time more of a straight up mystery/thriller type tale called "Why The Mask." It's less "Whodunnit" and more "Howdunnit", about a woman seeking revenge in 1930s New Orleans, but I hope it appeals to the mystery/thriller crowds. I got the cover art worked out: a co-worker at the library is good at drawing and so helped me out of this jam. Remind me to pay her commission when she gets back from her Christmas vacation. It's a follow-up to my earlier estory "Welcome to Florida." 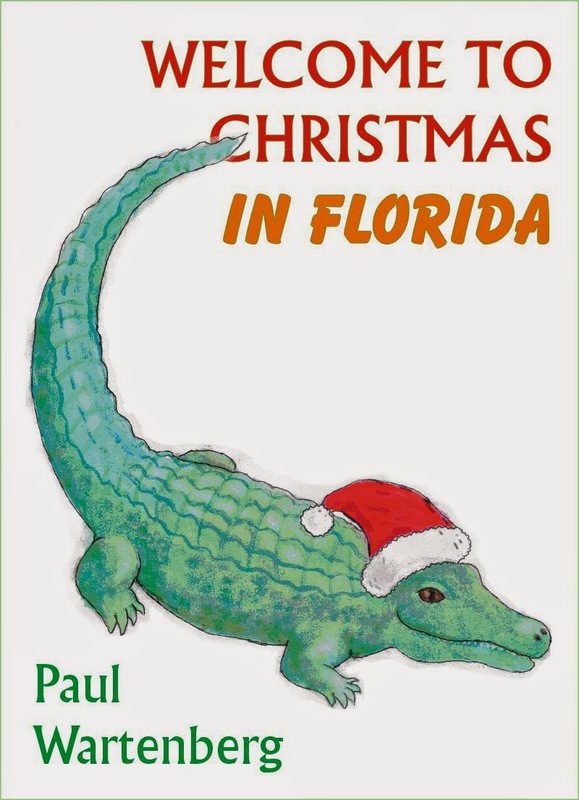 It happened for two reasons: 1) I wanted to do a Christmas short story about how we cope in Florida with a snow-less holiday that's supposed to have snow, and 2) a local writers' group Writers 4 All Seasons had a writing challenge of having characters react to a surprise guest visitor from their lives. When that challenge was offered, I realized I had a conflict in that second idea I could use to tell the first idea. So I made the surprise guest visitor a Santa Claus with a dark agenda. Hopefully, hilarity ensues (I am pimping the story as humor - short story). I also wanted Trans-Siberian Orchestra to show up as a caroling group so I could riff off the old holiday special tropes of having musical guest stars. I changed the band name within the story (trying to avoid the lawsuit, eh), but you can kinda tell it's them when they show up. Amazon.com already has it up for sale as a Kindle book for the ereaders. Barnes & Noble (bn.com) has it up for sale as a Nook book too. Both stores have it selling at $.99 (the lowest price an author can set: as a short story, I shouldn't be charging any higher). 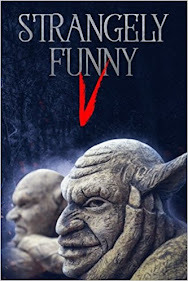 If you have the inclination, own an ereader Kindle or Nook (or have a tablet/laptop with the ereader app), and like humorous stories that are wildly implausible and contain at least three grammatical errors, please do me a favor and consider downloading my tale. If you do, please also leave a review. I've been told the use of the clipart off of CorelDraw 9 (from, what, 15 years ago?) might violate the use agreement if I sell the story, soooooo... I need to draw my own alligator by hand. WITH a Santa hat. So I finally got around to plugging in my estories "Welcome to Florida" and "Hero Cleanup Protocol" to the Kindle Direct service. It didn't make sense to not have my estories available in one of the two major ebook formats - Kindle's and EPUB's - but Amazon never got around to accepting Smashwords (in which I first submitted "Hero Cleanup Protocol") and I wasn't certain it was legally okay for me to re-publish a story I had first loaded for Nook ("Welcome to Florida"). Since I own the copyright on both stories, I figure I ought to be able to re-submit to cover Kindle and ensure I can publish in both formats. Sure I ought to focus on getting the NaNo novel continuing, but a writing challenge from a local group stirred up an old idea in my head and I'm charging into creating a short story to see about getting it epublished for the holidays! Hint: it involves the couple from the "Welcome To Florida" story.